Primer & Prep Product. A slow drying, single pack alkyd primer designed to penetrate lightly rusted surfaces. 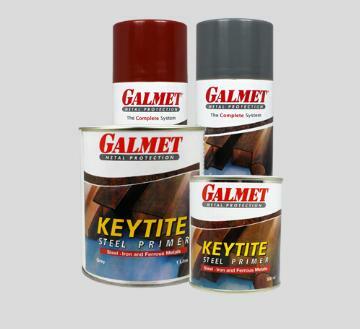 Galmet Keytite Steel Primer’s anti-corrosive pigments passivate metal surfaces to provide good adhesion prior to topcoating and combines superior steel wetting and flow characteristics for easy application with brush or roller.